Horror is for everyday year-round, especially during the holidays and I love me some Christmas horror! If you are like me and want to spice things up this holiday season from something different than your typical heartwarming holiday cheer, candy canes and the same old stop motion animated films and everything nice…puke…Then here are some movies that are perfect to give you a little scare and keep you in the holiday spirit while you sip on your spiced rum eggnog. Enjoy! Taxi Driver meets Santa Claus but not nearly as well directed or acted. Harry Stradling is mentally scarred as a young boy when he witnesses Santa (his father) groping his mother. As an adult, he spies on unsuspecting children and keeps tabs of their actions in a huge book marked “Naughty or Nice”. After a nervous breakdown, Harry becomes Santa Claus and goes on a Yuletide killing spree. Inspiration from Scorsese’s Taxi Driver is noticeable as Harry is basically De Niro’s Travis Bickle turned Santa of course. 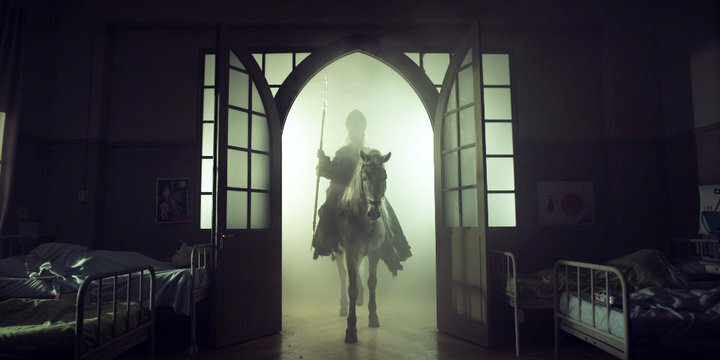 From Holland is a short (84 minutes) and not so sweet depiction of Old Saint Nick as a murderous bishop from the past who returns when there is a full moon on December 5th to kidnap and murder children. 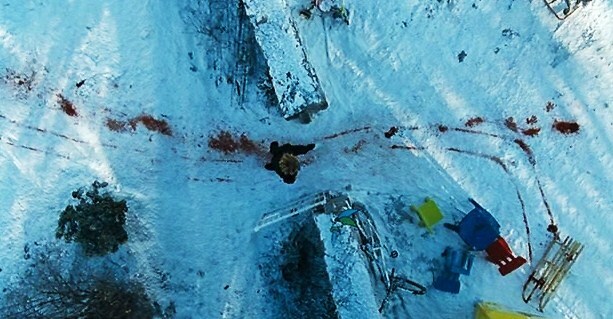 A decent amount of wit and cheesy charm combined with some sold gore to make for a fun wintry and devilish ride. A tense chiller with some gruesome and inventive kills when a relaxing Christmas vacation turns into a fight for survival as the children begin to attack their parents. Christmas Vacation meets Them with a touch of infection horror makes this one of the more horrific Christmas offerings out there. Even though it wasn’t the first of it’s kind, Silent Night, Deadly Night is perhaps the most infamous Santa as a killer movies out there. The PTA fought hard to get this removed from theaters which automatically makes me love it that much more. 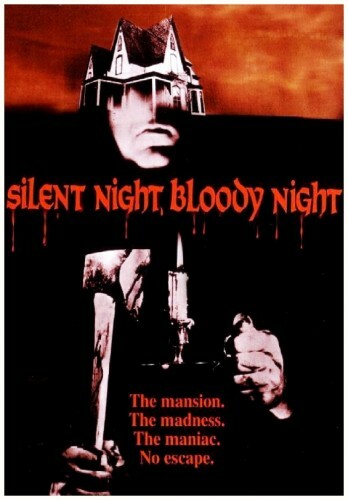 It was the first straight up Christmas horror movie I watched when I was a kid. 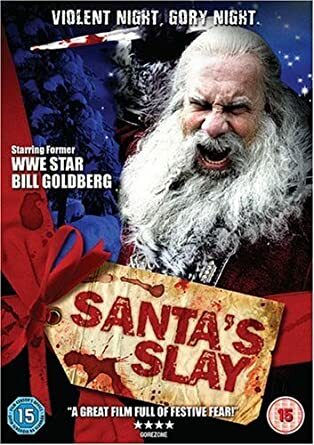 Billy witnessed a man dressed as Santa murder his parents and after years of abuse at an orphanage by Mother Superior goes on a murderous rampage dressed as, yes you guessed it, jolly old Saint Nick. What stands out about Rare Exports is there actually a solid story here with a Spielberg type touch. Essentially an origin story of sorts about Santa Claus folklore as an excavating team digs where they believe Joulupukki, Finnish version of Santa basically, to be buried. Strange happenings begin to take place around an isolated town. There is suspense that keeps you guessing and a dark humor touch that makes this one of the most original Christmas tales out there. On Christmas Eve, a pregnant widow is tormented by a stranger who is after her unborn child. The most brutal entry on the list and not one to watch for the squeamish. This French horror film is vicious and unrelenting home invasion that will make you think twice about answering the door on the 24th. A story about a boy who summons a festive demon to his home on Christmas that begins to torment his family. A fun combination of Gremlins and Christmas Vacation. Although, it isn’t as good as either, Krampus is still an entertaining horror comedy. It’s not that scary but is creepy enough to satisfy that holiday horror itch if you have one. When the king of Halloween Town discovers Christmas Town, he decides to bring Christmas to his home which causes chaos. Arguably one of the best Christmas movies period. Tim Burton’s off the wall holiday tale is a stylish, macabre stop-animation masterpiece. Not overly scary but dark enough to have good time while singing along with the songs. Simply an infectious and fun holiday ride. Before Carpenter’s ‘Halloween’ and often overlooked is the pioneer of the slasher genre, Bob Clark’s classic Black Christmas. A group of sorority sisters are stalked by a stranger named ‘Billy’. He makes obscene phone calls before murdering one of the girls. It created most of the rules for the sub-genre with excellent writing which can be seen throughout most slasher films following. Creates solid suspense with Margot Kidder and Olivia Hussey knocking it out of the park. A must watch. This is the only one on the list that I watch yearly, and it is a classic. Entertaining and silly comedy horror with a little bit of a nasty streak that you can watch with the whole family. The puppetry and practical effects stand the test of time while also having a great score. A gorgeous wintry Norman Rockwell type setting and the little mogwai’s are just freaking adorable. And of course, there is Phoebe Cates in perhaps her second-best acting scene (you guys know the first one) with her dreadful story why she knows there is no Santa Claus. Sorry kids.